You are already meticulous about which links you click, you understand the warning signs of an adware infected app, and you have tight security on your computer – but, a new breed of malware can get past all of those precautions! According to Gizmodo, the new malware leaps between devices using audio signals that are undetectable by the human ear. So, how are you to prepare yourself? The new malware uses high-frequency transmissions to jump air gaps, and according to Arstechnica, the malware can even infect computers that have “air gaps” in between them. In fact, using just the regular speakers and microphones of most computers, this malware can jump up to 65 feet! That puts you at risk anywhere where there is an infected computer, even at the office or at a coffee shop! High security environments including military organizations and nuclear power plants have long been using air gaps to protect their computers, but the potential for new malware will likely render this technique ineffective. Scientists report that there are currently too many hurdles in the way for malware developers to jump on the new model anytime soon. However, the same group of scientists also reports that requirements for hosting the malware are low, and thus, malware developers may jump on this trend in the not so distant future. Once they have embraced this model, malware developers can steal passwords and more as long as they can infect a computer that is physically close to yours. 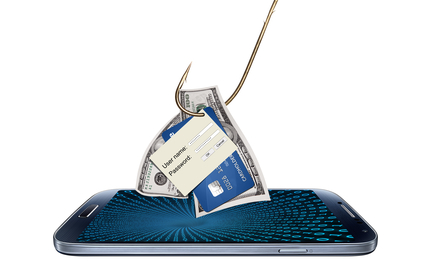 Malware doesn’t just threaten a consumer’s financial details. Many consumers have their memories and their musings saved on their computers as well. Protecting that info can be as simple as making a backup on a USB drive, but how can one protect memories that are stored in a cloud or directly on the social networking site? Preemptively, internet users should select their cloud storage service carefully. Unfortunately, not all of the cloud-storage providers can offer the same level of security, but if you spend some time reviewing the Top 10 Cloud Storage providers, you should be able to find one that can safely meet your needs. When you have everything backed up on a secure cloud, it means that your data will be saved, even if your hardware is destroyed. Keep in mind that hackers aren’t just interested in destroying your hard drive–many hackers focus exclusively on getting into social networking accounts. According to Al Jazeera, 2 million social networking passwords were stolen and posted online last month. A breach like this could erase your account and destroy your memories. To prevent you from losing everything, SocialSafe saves and organizes all of the pictures, posts, and conversations you’ve had over social networks. This is perfect for the mom who wants access to her years’ worth of witty observations about her children and for the professional who doesn’t want to lose his Linkedin contacts. Once you have protected your memories, you will not only feel better, but you will be far less vulnerable to attacks, regardless of whether over the airwaves, or delivered in an old-school fashion. Byline: Ryan Harrison Ryan is a media consultant and father of three boys who blogs in his spare time.